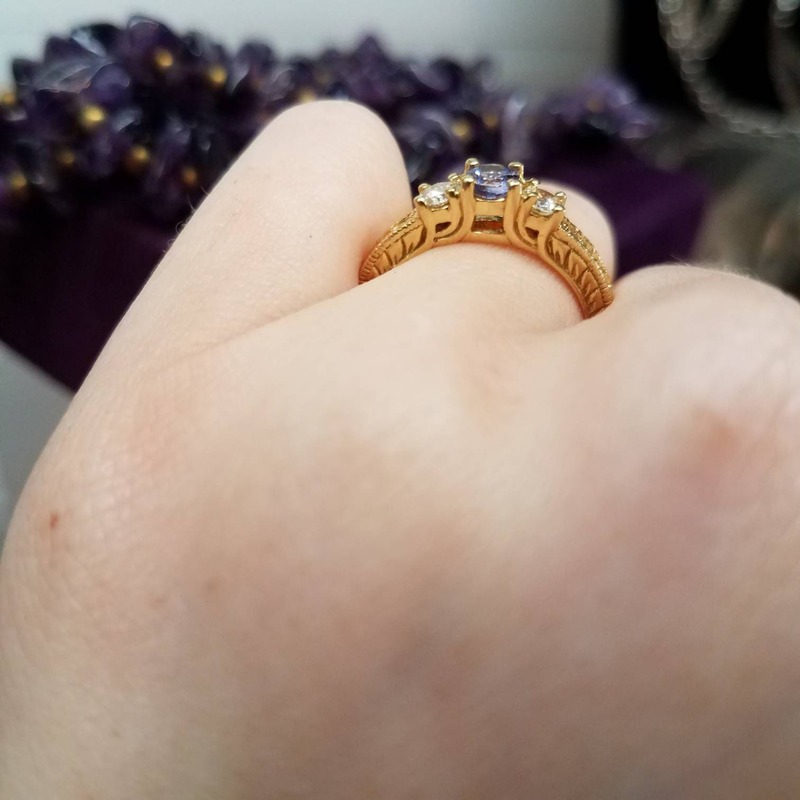 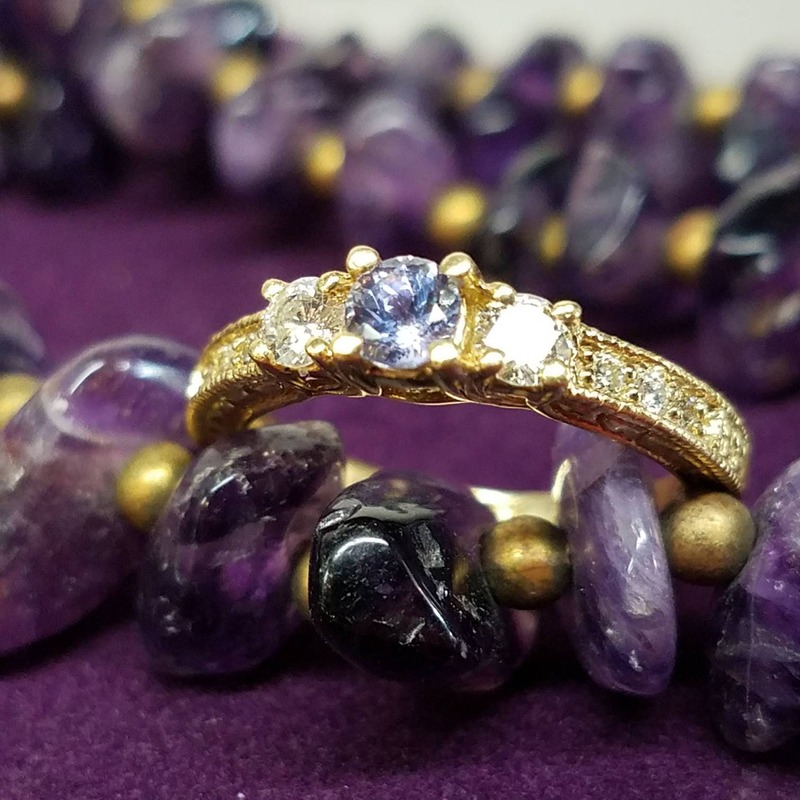 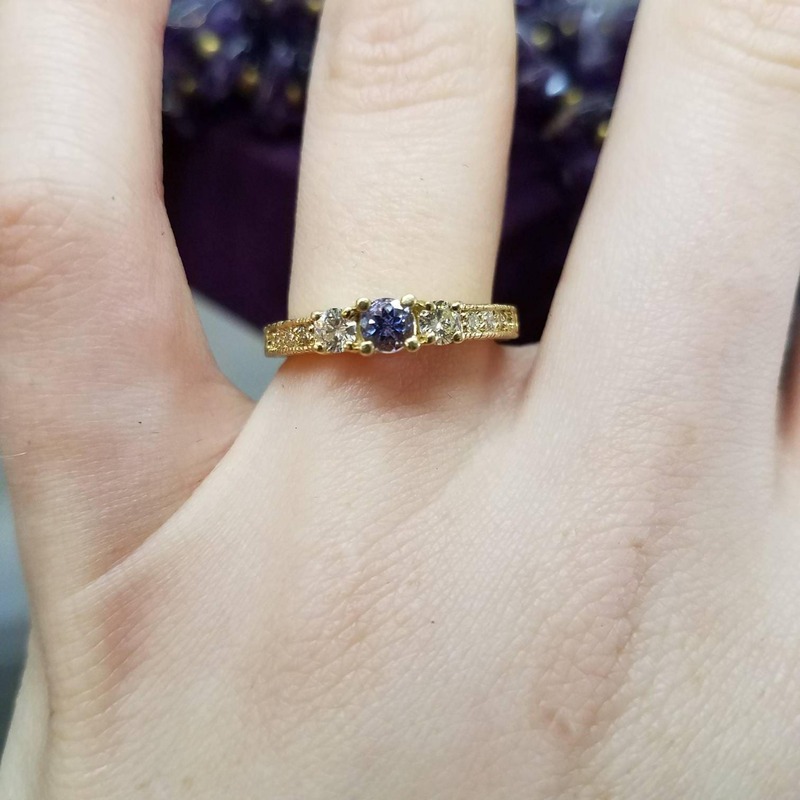 This gorgeous ring is 18K yellow gold, with a center tanzanite flanked by a diamond on either side. 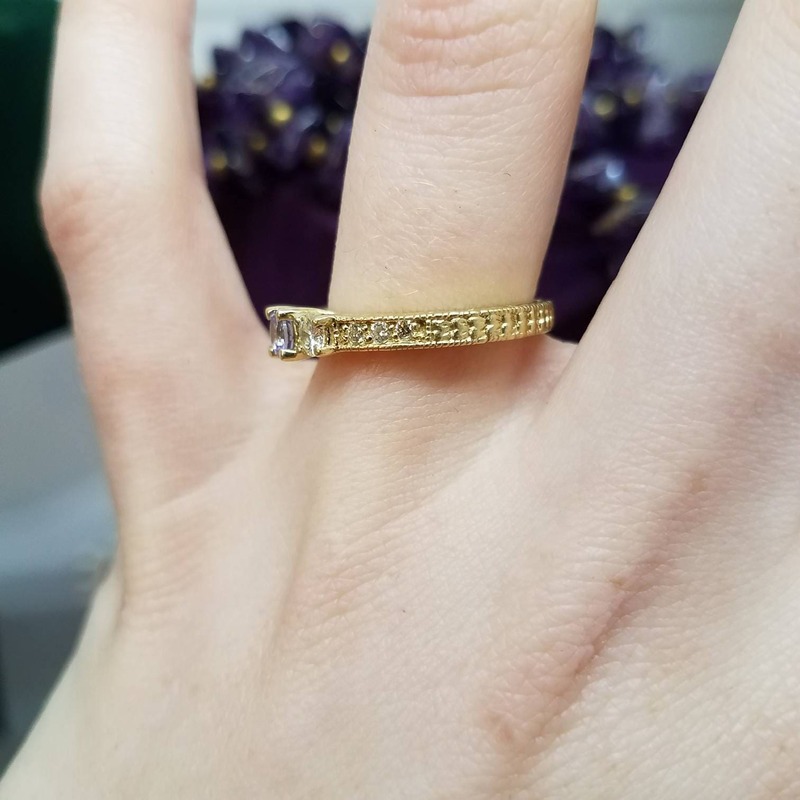 Following down the band are three smaller diamonds on each side, leading into design work that includes all but ~8mm of the band. 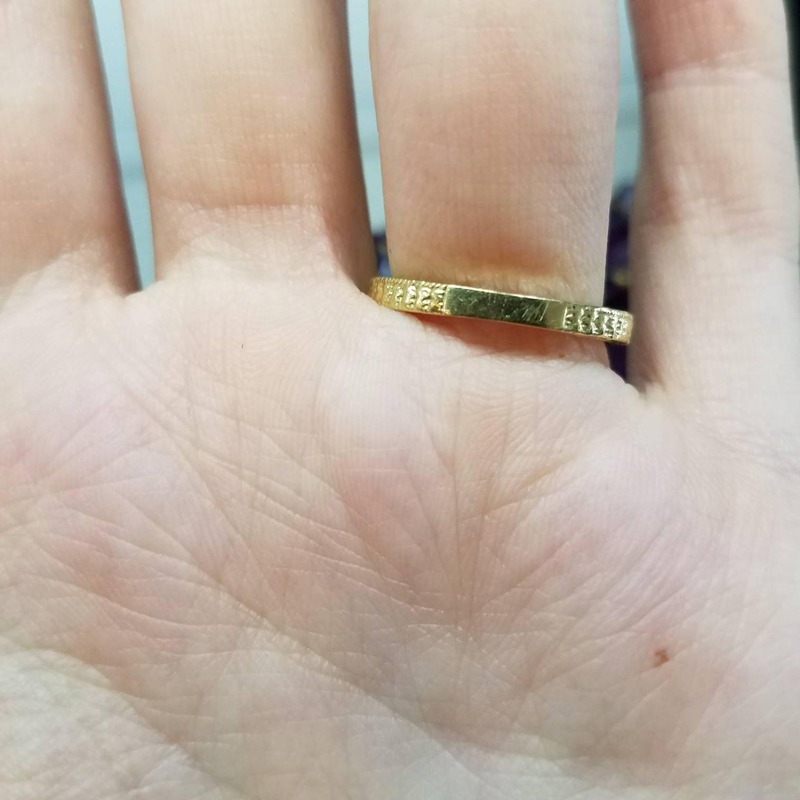 This ring is a size 6 and has a height of 4mm.